I am always thrilled when author Dionne Lister joins me all the way from Sydney, Australia. 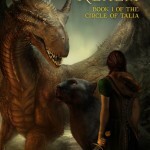 Dionne is an award-winning Fantasy writer and her on-going the Circle of Talia series has garnered rave reviews with the next installment due out this summer. 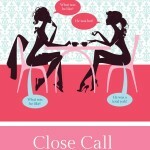 When not writing fantasy, Dionne pens some mighty creepy horror tales and her humor is not too shabby either as we can see with Close Call: A Doris & Jemma Vadgeventure which she wrote under the name Eloise March. You cannot go wrong reading anything written by this talented writer, author and speaker. Also take note that Dionne launched Booktastik.com this year, a site that helps authors promote their eBooks and helps readers find great deals on great works. Check that out as well! I gave the links to Dionne’s Amazon author page and blog so you can have all her work right at your fingertips! Click on her name below her book covers to hear this entertaining interview.